If you’re planning a vacation for 3 days in Phuket, you’re going to have to find a lot of things to do to fill up your itinerary. Lucky for you, Phuket, which is an island in Southern Thailand has so many things to see and enjoy. We’ve put together an exciting itinerary you are sure to enjoy while staying for 3 days in Phuket. We guarantee it will serve you with lots of fun! Phuket has the most beautiful beaches and is often called Heaven on Earth, keep reading and you’ll see why. There are so many islands with incredible scenery and other enjoyable activities such as diving, snorkeling, canoeing, and fishing when visiting you shouldn’t miss. James Bond Island is located in Phang Nga Bay which offers a jaw-dropping seascape. Canoeing around Phang Nga Bay is a great way to immerse yourself in the beauty of nature. Get a 63% OFF discount ticket for Phang Nga Bay 1 day tour here. Phi Phi Islands are some of the most frequently visited islands in Phuket. The most popular spot in Phi Phi Islands is Maya Bay, a beautiful white sandy beach surrounded by rocky cliffs. It’s an extraordinary natural wonder you should see in person. All tours going to Phi Phi Island’s Maya Bay will not be able to enter the Bay, but you will still be able to gaze at the beach from afar, as well as take photographs, swim, and snorkel. it’s still mesmerizing to see it from afar, so get a 69% OFF discount ticket for Phi Phi Islands 1 day tour here. Similan Islands are the hidden gems of the Andaman Sea. Water near the Similan Islands is warm and incredibly clear. If you’re looking to dive into Thailand, it’s certainly the spot to put on the top of your bucket list. Get 9% OFF discount ticket for Similan Islands 1 day tour here. Surin Islands are very secluded and a remarkable island paradise. It is definitely less busy than the other popular islands so you can surrender yourself to the clear water and quiet beach without getting disturbed. You can book a day tour to Surin Islands here at a 29% discounted price. Coral Island is only 3 km away from Phuket, which makes it a very popular destination for a day trip from Phuket. Here you can be surrounded by multi-colored coral reefs to marvel at. You can book a day tour to Coral Island here. Mai Thon Island is a tiny island located on the southeast coast of Phuket. It’s a popular honeymoon destination due to its fine white beaches and crystal waters. You can book a day tour to Mai Thon Island here. For anyone who is interested in Thai traditional fight shows, Phuket is one of the best destinations for you to see real Muay Thai bouts! If you are looking for the best place to watch a Muay Thai bout, Here they are! Start your half day with the largest land animal, which also happens to be the symbol of Thailand! Visit Phuket Elephant Sanctuary to meet the big adorable elephants living happily in their natural habitat and make a great memory with them! If you’re an adventure seeker, Phuket is the right place for you. Here we provide many options for extreme outdoor adventures fit for all the adrenaline junkies! White Water Rafting is an epic adventure you can try in Phuket. Rafting through the rapid waters of Thailand is a fun-filled activity. Beautiful scenery awaits you around every corner as you raft through the river! Book the rafting tour here. Ziplining will give you a chance to be Tarzan for a day and fly from one treetop to another at super-fast speed. It is such a refreshing experience to feel the breeze of the jungle as you fly in the forest. Book the Hanuman World Zipline here at a discounted price! Bike Tour is worth trying if you want to get up close and personal to nature and local life in Phuket. It is a great way to experience the different aspects of Phuket. Book a bike tour here at a discounted price. More options for Phuket outdoor activities here! Entertain your evening by watching a great cultural performance you will surely love! Here are 2 best cultural performances in Phuket which you can choose! Siam Niramit is a world-class Thai cultural performance which features Thai history and culture with over 100 performers, stunning costumes and set design. They also use impressive special effects and advanced technology to produce a very realistic and inspiring experience. Phuket FantaSea is not only a show but a family-friendly theme park packed with a variety of activities and entertainment. This is the first Thai cultural theme park in the world. Besides a great performance, Phuket FantaSea also has Carnival Village (shopping center), Similan Entertainment Center (game arcade), Tiger Jungle Adventure (theatrical safari), and more. And in the park, you will have an opportunity to interact with animals up close. Make your own authentic Thai dishes and enjoy self-lunch with Phuket Thai Cookery School where they offer all-inclusive cooking courses with a morning local market tour and the cooking lesson. Just doing island-hopping and outdoor adventures are not enough for this wonderful trip. Begin your last day with the Phuket City Tour in which you can view the cityscapes at the old district, built in the style of European and Chinese architecture. Then move to Khao Rang Hill, where you can see an overview of Phuket Town and offshore islands before Wat Chalong, a Thai Buddhist temple with magnificent structures and interior. Lastly, end the tour at Promthep Cape which is the high cliff along the edge of the sea to watch the marvelous sunset! Book an exciting Phuket City Tour here now! Phuket Simon Cabaret – the most famous ladyboy cabaret show in Phuket. The venue is located in Patong Beach, which is a very popular tourist area in Phuket. You can also meet and take photos with the performers after the show. Get a 39% OFF discount ticket for Phuket Simon Cabaret here. Aphrodite Cabaret Show – another must-watch of cabaret shows where is especially famous for its multicultural performances with glamorous costumes. Get a 56% OFF discount ticket for Aphrodite Cabaret Show here. How did you like our suggestions for a fantastic itinerary for 3 days in Phuket? 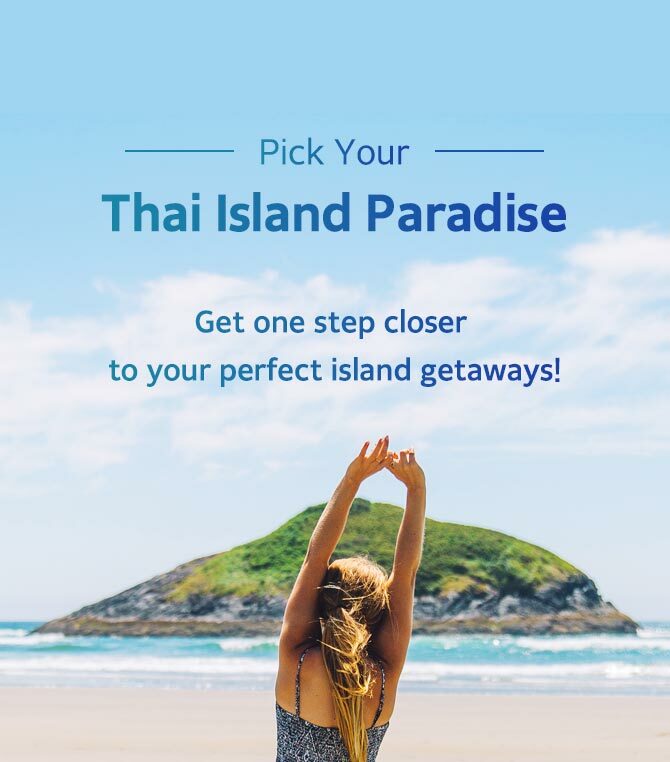 If you’d like to look for other things to do in Phuket on your own, make sure to check out Trazy.com!